Hello, bloggy friends! 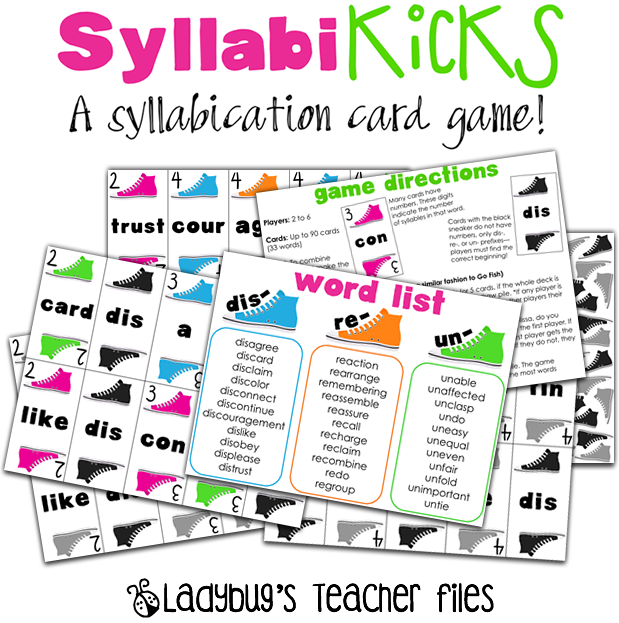 I wanted to quickly share the newest version of SyllabiKicks. This is the third game in the SyllabiKicks series (you can read more about these games by clicking the green link above). 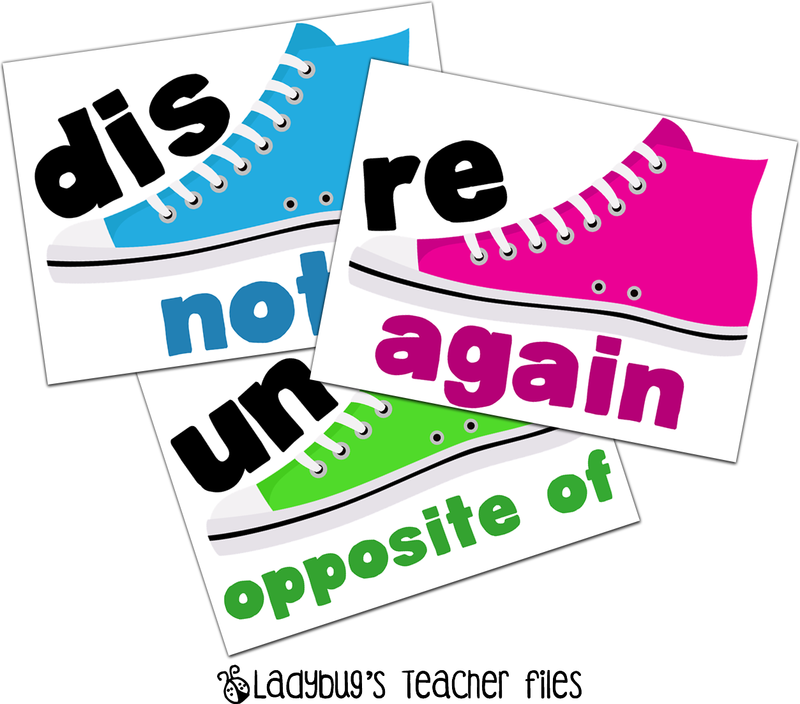 This version focuses on the prefixes dis-, re-, and un- (can you guess what my class is learning in spelling this week??). The game comes with up to 90 colored playing cards (featuring 33 words), the same cards in grayscale (to be ink-friendly! ), a sneaker pattern to back all playing cards, directions, and a word list. If you would like to see more, it is listed in my Teacher’s Notebook shop (for $2.50). I made an additional printable for this game…a three page poster set highlighting each of these prefixes. If interested, you can download it for free at the bottom of this post. Here’s a little preview… As we did last evening, I would love to offer this newest game to the first three readers to comment. If you would like this version, please leave a comment with your email address!I hope you all have a great Saturday with your friends and family! And a very happy vacation to all of those spring-breakin’-teachers out there!! I would love a copy of this. I love all your ideas. I would love a copy of this awesome game! I know, I think you've done a lifetime service of lovely and thoughtful comments Ms. M and I appreciate it more than I can say!!! Thanks! This will be a great review! We just finished these prefixes so I bet the kids will love playing this game! Have a great Sunday! We are starting these same suffixes in a week. I am so glad I found this. Thank you! I don't get how you purchase this game? Can yu explain?